Buy 2 or more seasons and save 10%! 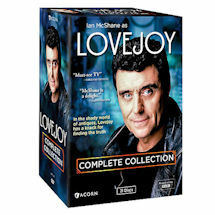 If you think the antiques business is a fusty old snooze, you haven't seen Lovejoy. Played by Ian McShane (Deadwood), the show's eponymous character based on the novels of Johnathan Gash, is a rakish antique dealer gifted at sorting the real from the fakes. Which should help, given the shady, dangerous nature of his business, one where certain collectors would kill for the perfect set of antique pistols-quite literally. 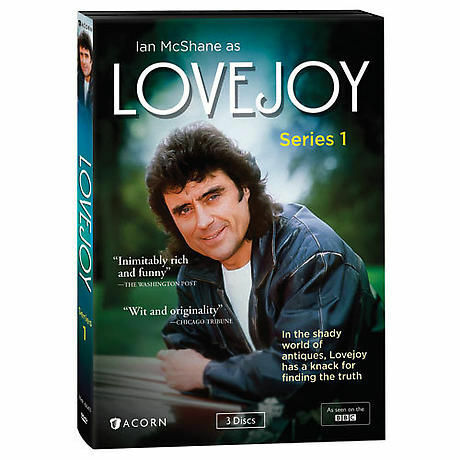 It's a wild, unregulated world flooded with aristocrats, con men, and criminals, all of whom Lovejoy goes up against with the help of his young, mopey assistant Eric (Chris Jury, The Big Game) and Lady Jane (Phyllis Logan, Downton Abbey), a uppercruster who serves as his confidante. Of course, it would be a shame if "one of television's most charming and appealing characters" (The Washington Post) didn't use his wiles to sell a worthless painting or two to the occasional chump. 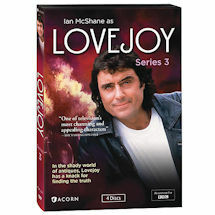 But Lovejoy would be wise to practice caution-charisma can only go so far. 10 episodes, 8¾ hours, 3 DVDs, SDH.